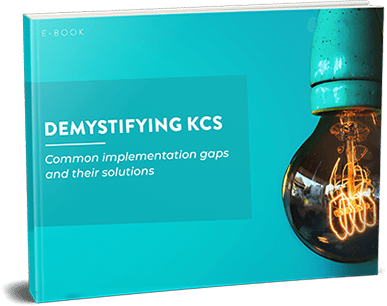 Support leaders who have successfully brought down support costs while driving CSAT know and can tell you that KCS is not just a buzzword – they’ve implemented it in their organizations, reaped the benefits, and become its advocates. If you also are working towards reducing support costs and increasing CSAT while making your support agents’ lives easier, this ebook is definitely for you. Copyright © 2019 SearchUnify. All rights reserved.